Sanzen-in is located in Ohara in Sakyo-ku, Kyoto. Sanzen-in Temple is in a prominent scenic location among the many other temples in the Ohara area. The first Sanzen-in was built when the great priest Saicho founded Enryaku-ji on Hiei-zan in the 8th century after returning from China where he studied Buddhism. 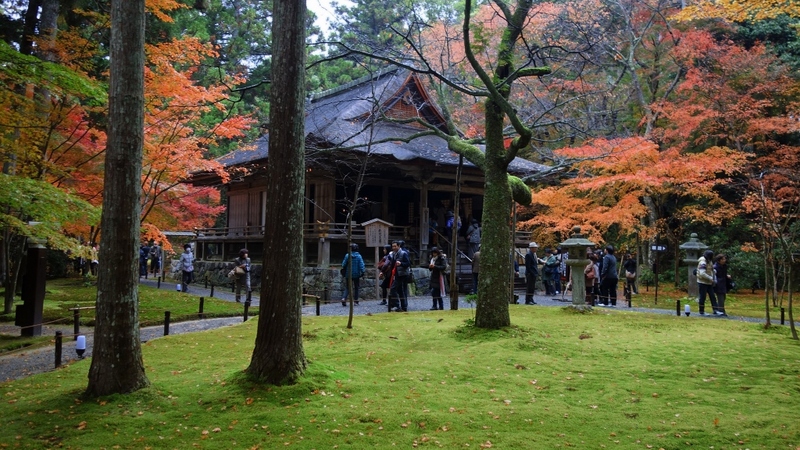 The temple was moved to the present site in the latter half of the 15th century when Kyoto had been devastated by wars. Historically, members of the Imperial family served for many generations as the heads of the temple. 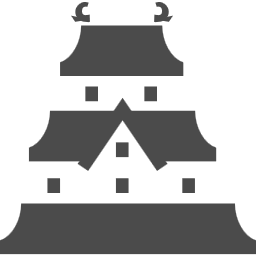 The Amida-Nyorai Sanzon Buddhist statue housed in the temple has been designated an Important Cultural Property. After entering the the front gate, visitors walk through a series of connected temple buildings. The first major building is the Kyakuden (guest hall), which displays works of Japanese calligraphy and paintings on sliding doors (fusuma). The building opens up onto the Shuhekien Garden(traditional Japanese garden) that has a small pond and hill. the Shinden (main hall) displays statues of three Buddhist deities. visitors can enjoy the most famous view of Sanzenin Temple from here. “the Ojo Gokuraku-in Hall ” is seen through maple and cedar trees across a moss garden. After enjoying the view from the Shinden, visitors walk through the moss garden with a tranquil atmosphere. There are a number of amusing stone statues that peek out from the moss. The garden is particularly impressive during the autumn colors, which usually take place in mid November, about a week earlier than in central Kyoto. The temple is also known for its lovely display of hydrangeas in early summer. 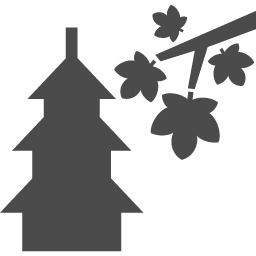 You can see over 1000 various kinds of hydrangeas beautifully bloom from mid-June to mid-July at Sanzen-in Temple.